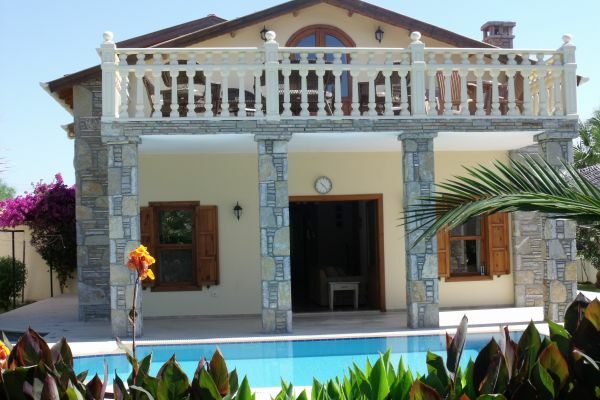 The villa was built in 2006. 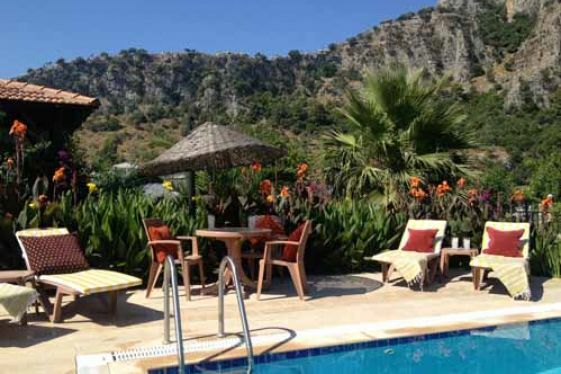 It has a lovely view of the hill on the other side of the river and colourful gardens in the summer and autumn. 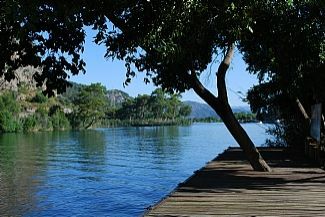 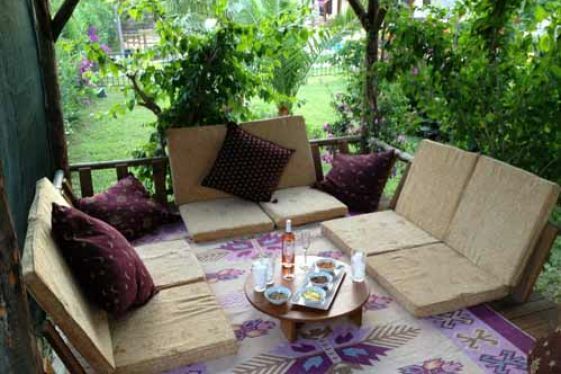 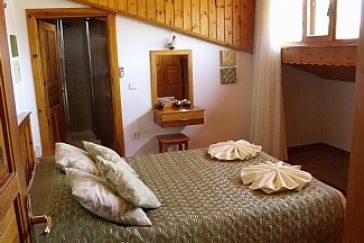 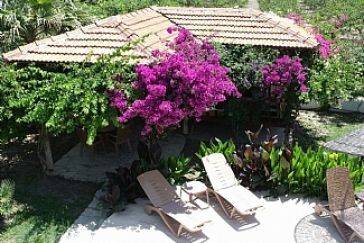 The villa is situated about 200 metres from the river and only 5-10 minutes walk from the town. There are 2 double bedrooms upstairs and 2 twin bedded rooms on the ground floor. 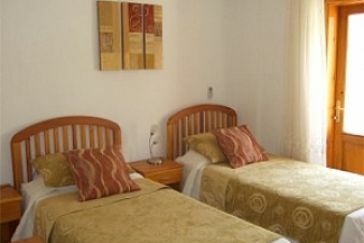 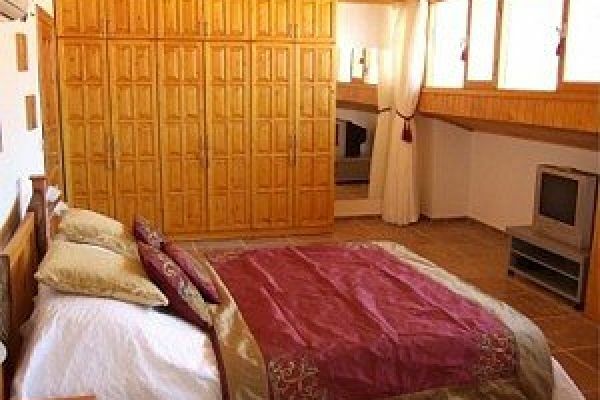 All bedrooms have en suite facilities and come equipped with towels, iPod docking stations, and hairdryers. 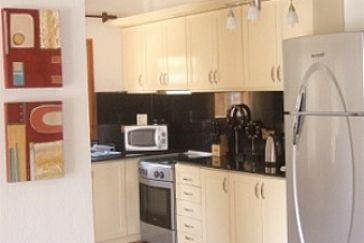 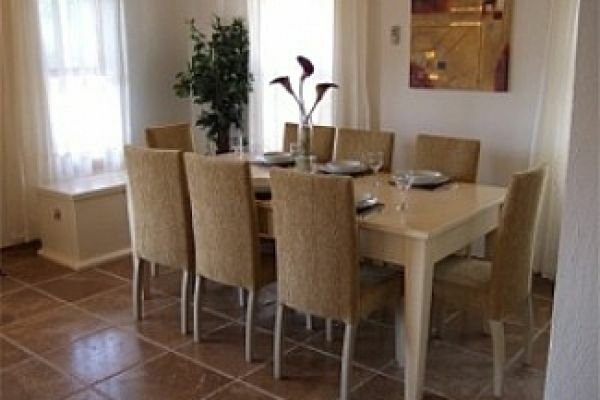 There is an open plan sitting room, dining room and kitchen that is fully equipped. 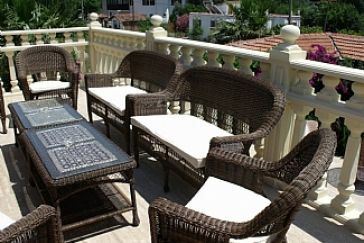 There is an additional upstairs sitting room that leads to the balcony and good open views. 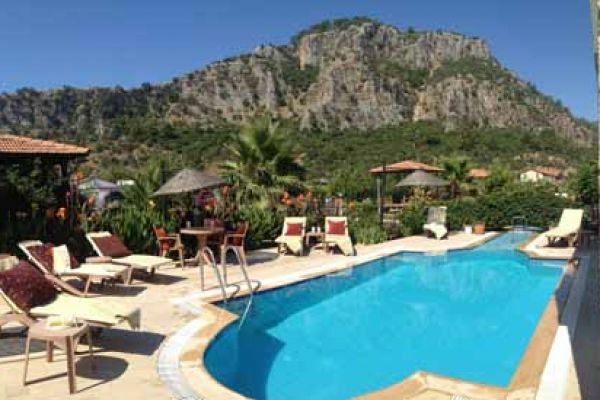 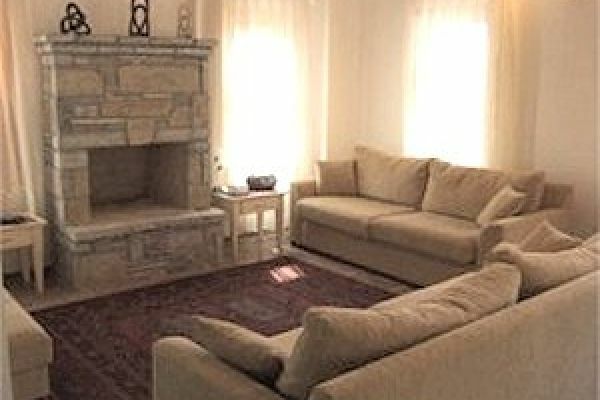 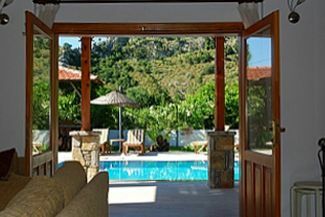 Dalyan is only 30 minutes from the airport at Dalaman and we can arrange airport transfers for anyone using the villa as we have a local service agent. 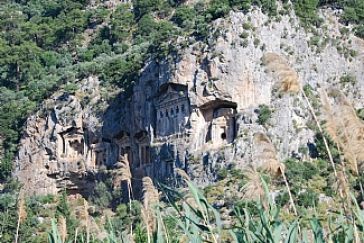 There is much to see and do in and around Dalyan. 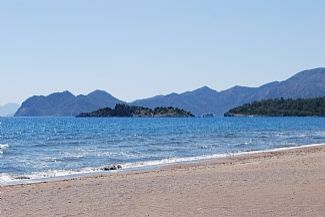 The beach at Iztutzu is a protected area because of the sea turtles (Caretta Caretta) who lay their eggs there. The boat trip to the beach is lovely. If you take a boat in the other direction, there is a beautiful large lake that rivals any of the Italian lakes in terms of scenery and the water is warmer. 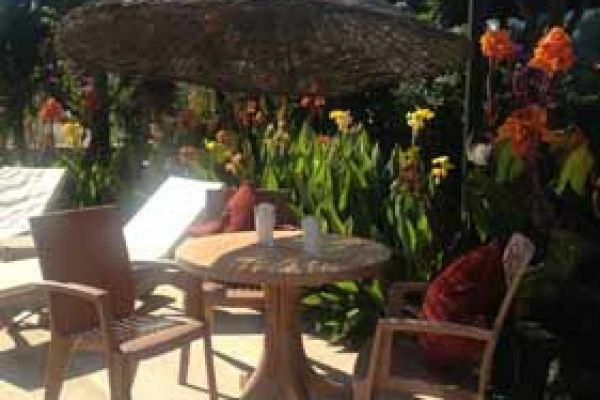 The town has a very good selection of restaurants and bars.